Injen Technology�s Super SES line of exhaust systems are dyno-tuned to compliment our performance intake systems; in doing so, the Super SES provides maximum horsepower and torque across the power band. 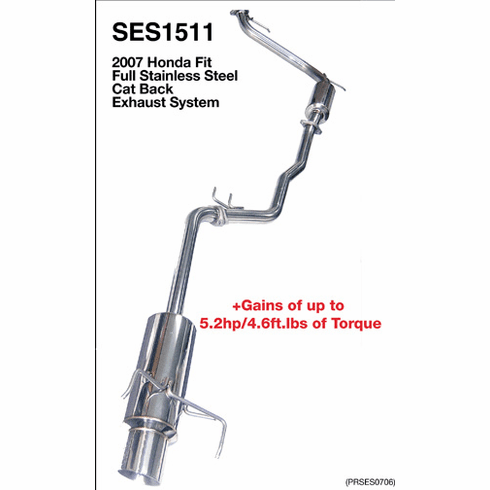 The Super SES exhaust system is manufactured from 100% 304 stainless steel. Each exhaust system features CNC mandrel-bent stainless steel tubing, CNC machined flanges, and robotic TIG welding. - 100% Stainless Steel construction throughout. - Straight through muffler design. - Injen�s unique flared tip design.